Hello all! Welcome to Day 1 of Stamp Highlights! For the next few days we are going to showcase our fabulous Design Team's projects for April's stamp sets! 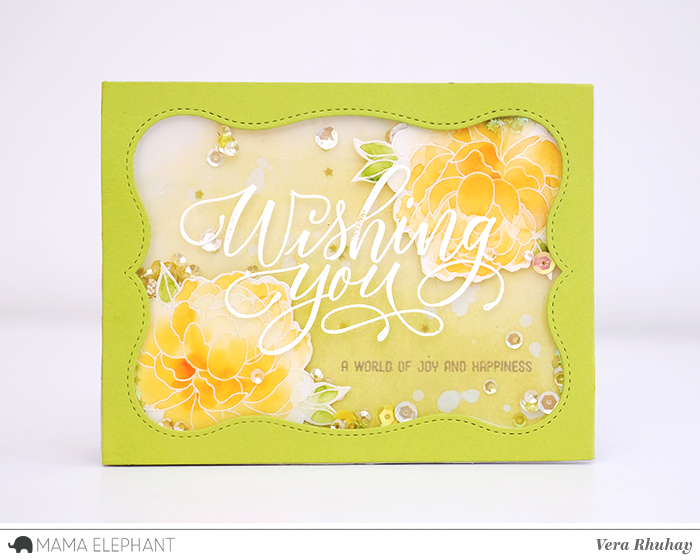 Today we are looking at Paola's beautiful Wishing You set! 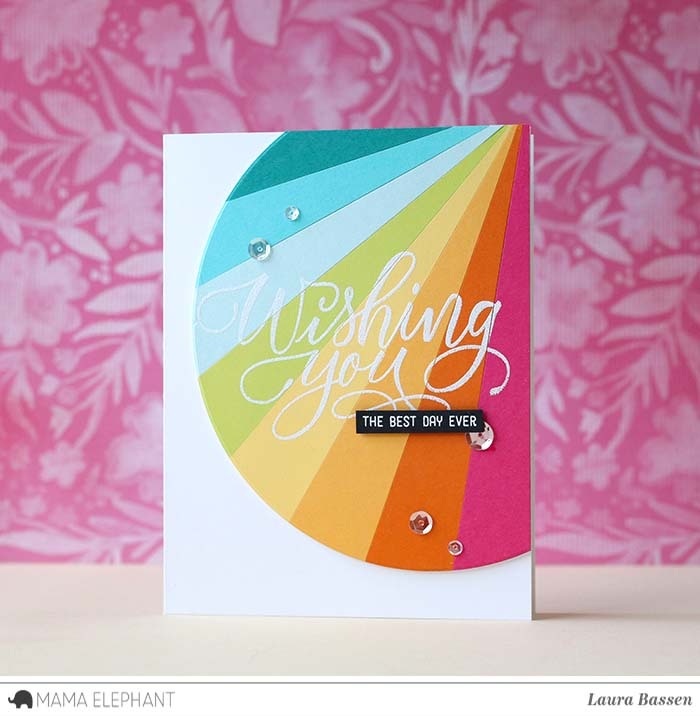 Today we will start out with our Guest Designer, Amy and her clever colorful card! 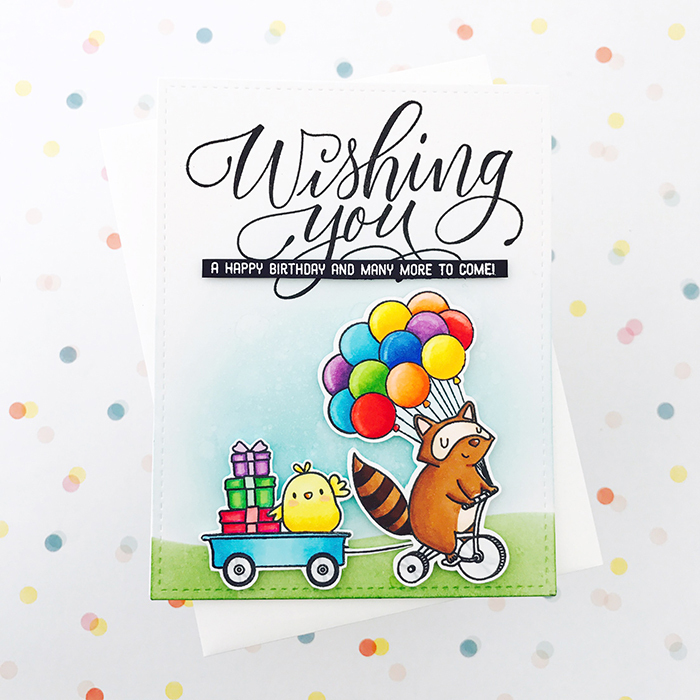 Love how she incorporated those Up and Away balloons with this Rowdy Racoon! 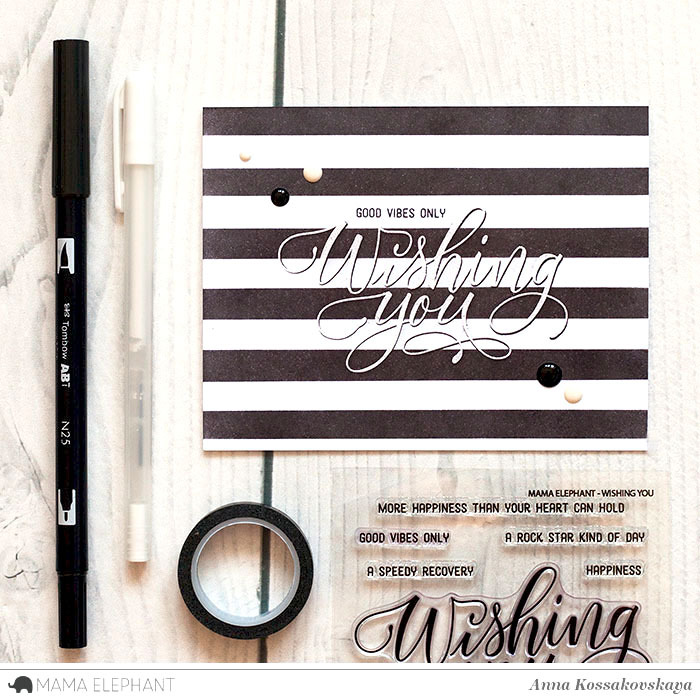 Anna amazed us with her graphic black and white card! We love Laura's colorful design. 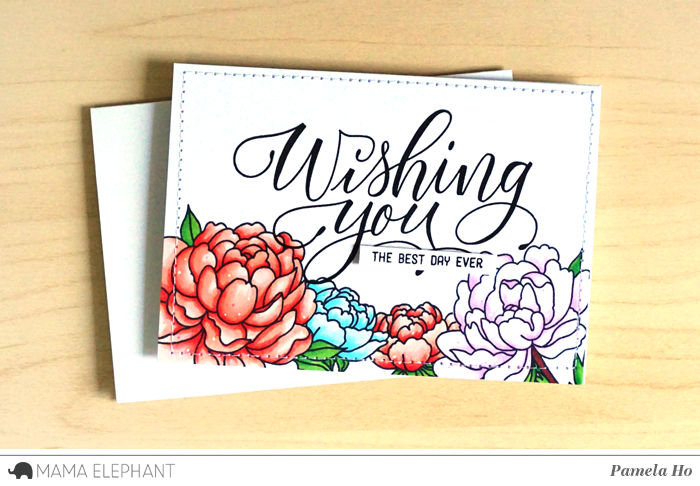 We love the gorgeous peonies border surrounding the large hand lettered stamp! Beautiful cards, especially the shaker card. I also see lots of my favorite color, yellow, in a lot of cards and that makes me smile. What great cards -- what great new products! My imagination is beginning to start after the long winter doldrums! WOW!What awesome cards! Holy smokes, these are all amazing! Well done ladies! Love this set, the big wishing you is fabulous! Thnaks for the inspiration!